As for the vegetable garden, it's not about whether or not you need to use compost tea, but how to produce it yourself. Learning how to make compost tea is particularly crucial when you need to add organic matter to the soil. It's often essential to provide the growing veggies with a fertilizer boost at the critical moments. This is where compost tea comes in! If you're not currently using and making compost tea, chances are you're spending a lot of money for a ready-to-use liquid fertilizer. 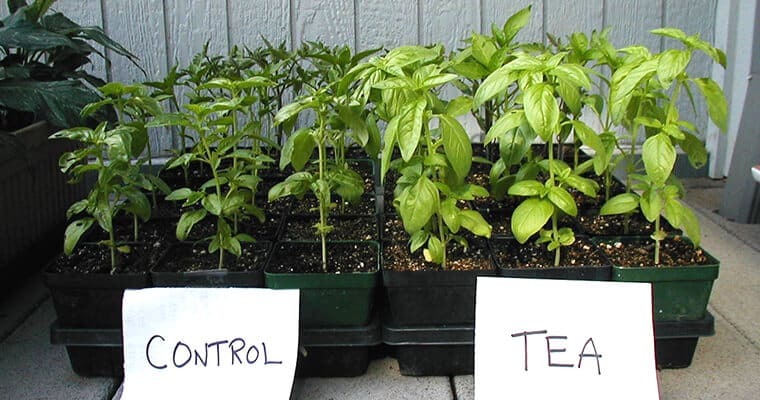 Okay, the choice is yours, but we recommend that you start thinking of veggie-friendly, homemade compost tea. That will not only help you stop spending hard-earned cash but also make you a more creative gardener. Furthermore, your plants will benefit from it greatly. This organic liquid fertilizer doesn't burn the plants thanks to its ability to water down when it comes in contact with the soil. That makes it completely safe for any vegetable garden. It is particularly beneficial for the heavy, long-seasoned vegetables like eggplant, tomatoes, squash, cucumber, and pepper. You will need materials for two processes - to brew your compost tea and to filter it for actual use. Fill the 5-gallon bucket around a 3rd of the way with a good quality compost. 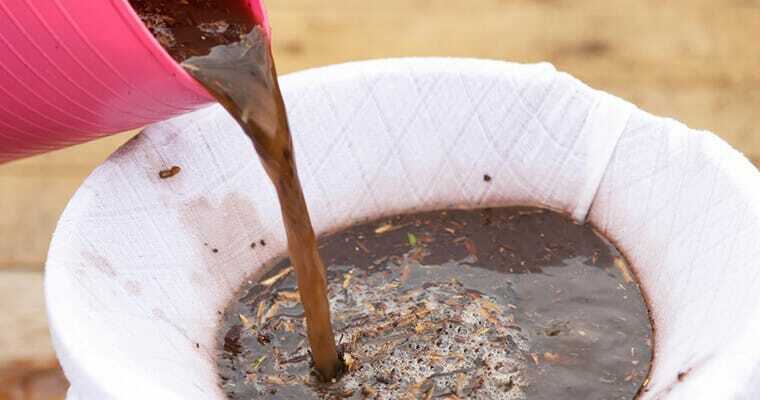 Then add a bit of unsulfured molasses (1/4 of a cup is quite enough), which will act as nourishment for the bacteria. Fill up your bucket with water almost to the top. Since this is a fermentation process, you'll notice gas bubbles on the water surface. Make sure it doesn't overflow from the bucket. This step plays a critical role in making compost tea. You can utilize any type of pump for this purpose. Simply set it up with an appropriate hose. Keep in mind that you'll need plenty of the tubing because it will have to reach out to the bucket bottom. Also, you will need to add some weight (we recommend using an old socket) to the end of your tube. That will ensure that the hose stays at the bottom all the time. This step is all about the timing. Once you have set up everything, you should let the mixture brew. Leave it for 24 to 48 hours. We recommend that you perform this somewhere outside and put a cover on your container. That's because this compound will emit unpleasant odors when starting to brew. The cover will also prevent water from getting into the bucket. To avoid this, place the container in a covered area. ​Once the brewing process has been completed, you shall filter your compost tea so as not to get clogged. Take another bucket for this step, as well as some fine mesh (you may use an old pillowcase) and something that will support the mesh while pouring compost tea through it. Note that this is going to take a while. Be sure to clean the mesh multiple times because there will be plenty of dissolved solids all around. Otherwise, you can use a few pieces of mesh. If you have performed all the steps properly as described above, there will be two things at the end - the liquid tea and the solid-state compost left at the bottom. That compost has finished its job (it made the tea) so that you won't need it anymore. 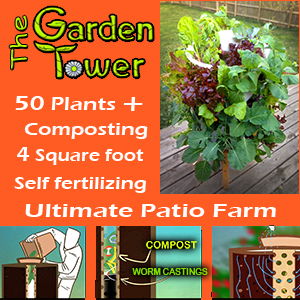 Therefore, you can pour it out into your vegetable garden just as you'd do with any other fertilizer. ​What to do with the tea? Just spread it out by any means and it will do the trick. There are some tips though. For the mulched vegetable gardens, go for foliar feeding. The compost tea can also be applied through a black plastic mulch; just make a few holes on it. Then spread it out around the base of your plants along with an organic mulch. Another way to apply the tea is by means of a container drip irrigation system. It is particularly suitable for pot gardening or container gardening.